On Friday, December 4th, The Los Angles County Arts Commission held it’s annual Arts For All Summit at the Skirball Center. Below are some of the highlights from the the two-hour celebration and information exchange. The Los Angeles County Board of Supervisors unanimously approved a measure on Tuesday that directs the County Arts Commission to set up a task force with the goal of diversifying the region’s arts institutions. Supervisor Hilda Solis, one of the proponents, said the advisory group would report back to the board on best practices for making performing arts centers, museums and other institutions – and their programming – more inclusive of the county’s ethnic mix. A recent national study pointed to a lack of diversity in museums: Only 4 percent of the nation’s museum directors are African American; only 3 percent are Latino. Supervisors Solis and Mark Ridley-Thomas cited the report in their motion that they would like to see more diverse hiring in local arts institutions, more programming that appeals to non-white residents, and more events held in ethnic communities outside the urban core. Arts for All is the Los Angeles County initiative dedicated to making the arts core in K-12 public education. Arts for All currently collaborates with 62 of 81 LA County school districts, plus three charter school networks, to formulate and implement arts education policies and plans that utilize the arts to enhance student learning. 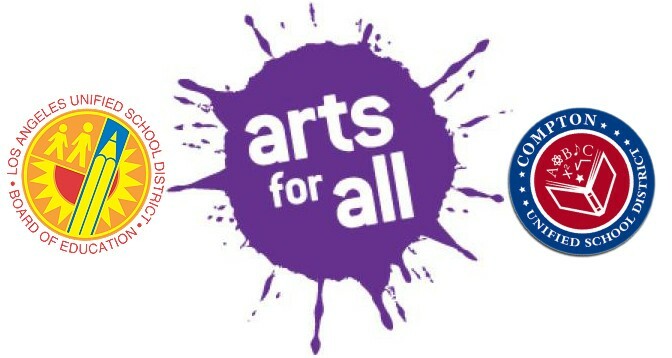 Arts for All was established in 2002 by the Los Angeles County Board of Supervisors as a partnership between the Los Angeles County Arts Commission and the Los Angeles County Office of Education. They now work with over 100 community organizations.